The Deloitte consulting HRT practice is a $300+ million service line, with over 1,500 consulting practitioners, and is part of a $1 billion Human Capital Consulting team. Our practice encompasses HR Strategy, technical and functional Cloud and On-Prem HR enabling technologies. Working with our HR Transformation, Oracle HCM offering means you will be working with Oracle’s #1 Global HCM Partner who had growth of over 30% in 2015. Our commitment to the HCM Cloud product is demonstrated in over 35 successful implementations, including leading 3 of the largest implementations to date. 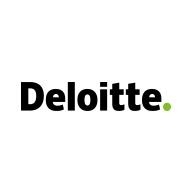 At Deloitte Consulting LLP, helping our clients exploit new technologies like employee engagement tools, advanced workforce planning and analytics we empower HR to better support the business and create value. HR organizations now reduce costs and improve operating effectiveness through process improvements, shared services, outsourcing and employee self-service, but that’s only part of the story, we help them to drive the value this delivers and help the business achieve its strategic objectives in performance and growth. Learn more about our HR Transformation practice. We are currently hiring Fusion HR professionals.